A majority of people still don't know how to play WMV video files on Mac or will receive an error message when playing .wmv video files Mac with QuickTime player. In fact, it is mainly because that WMV (Windows Media Video) is developed by Microsoft and incompatible with Mac OS X so that you can't play .wmv files with Apple's QuickTime player. Is there any alternative WMV player Mac to stream WMV video files on Mac? Beyond doubt, there are two efficient ways which can successfully solve the WMV incompatibility issues: figure out the other suitable Mac WMV players for instead or convert WMV to MOV/MP4/AVI for playback with QuickTime or other WMV media players in 2019 without any limitation. Next, feel free to single out your favorite WMV player for Mac to play WMV files on Mac among those top 5 popular & user-friendly WMV Mac players or try to convert WMV to Mac supported video formats. To easily fix WMV won't play on Mac issue, you can free download the best Mac WMV converter - MacX Video Converter Pro to convert WMV to MP4, MOV, MKV, FLV, etc for free playback on QuickTime or other WMV players Mac. 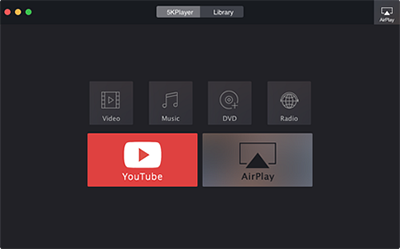 Serving as a free media player for Mac/Win, 5KPlayer is able to play any 8K/5K/4K UHD or 1080P/720P HD WMV videos or movies on Mac OS X (macOS Mojave included) without installing any other third-party plug-ins. In addition to WMV video format, this free WMV player for Mac can also play almost all mainstream video audio formats including MP4, AVI, MOV, MKV, MPEG, FLV, 3GP, M2TS, DivX, MP3, AAC, AC3, WMA, FLAC, AIF, etc. The bonus feature of this 2019 best WMV player for Mac is that it supports downloading WMV video files free from 300+ online sites like YouTube, Vimeo, Vevo, Twitter, etc. Here you can get this WMV player for Mac free download for replaying WMV files on Mac without any limitations. 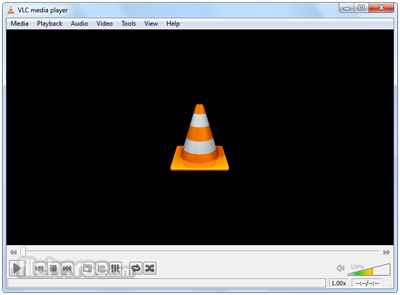 VLC is welcomed all the time because it is a cross-platform free media player and can effortlessly handle any format video. Of course, it is able to play any .wmv video files on Mac/Win/Linux. What's more, this WMV player Mac 2019 is also capable of playing Audio CD, DVD and VCD. The only drawback of VLC media player is that users may need to install some codec packages in order to fluently play WMV files on Mac. To be frank, every Mac user wanna play WMV files using QuickTime rather than downloading other third-party WMV players for Mac. And Flip4Mac – a free QuickTime Plug-in can help you deal with this task. After you download WMV player for Mac and install it, you can play WMV files on Mac easily. But the DRM encrypted WMV videos movies are not compatible with this QuickTime component. Besides, this free WMV player Mac can also work with other QuickTime based apps including iMovie and Final Cut Pro. That is to say, you can edit WMV files on your Mac without converting in advance via video converter for Mac. 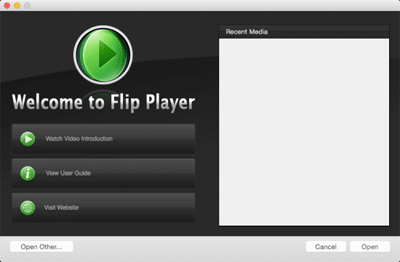 MPlayer is another sought-after cross-platform free Mac WMV player for 2019 which is available for all major operating systems including Linux, Mac OS X, Unix-like systems and Microsoft Windows. This open source WMV media player can play almost all video formats, for example, WMV, MPEG, ASF, VOB, MOV, MP4, QT, OGG and more. Many Mac users thought it as the best free WMV Mac player since it has more options and preferences than VLC player. Most of you may know DivX which contains the DivX Codec, a free video converter, player and media player Plug-in for web browsers. 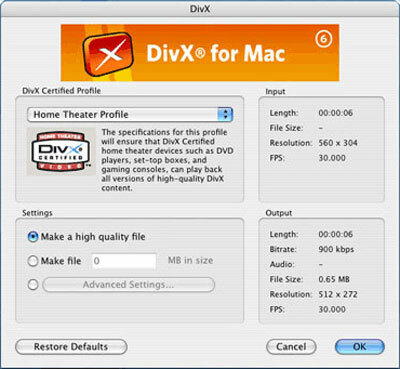 Certainly, the DivX video converter and player is compatible with Mac and Win. DivX Player is able to play all kinds of 4K UHD or 1080P/720P format videos on Mac, e.g., WMV, DIVX, MKV, AVI and many others. But to some newbie, this WMV player Mac is much complicated to use due to its complex user interface. Truly, though the aforementioned WMV players Mac are fairly functional, they still can't solve all "WMV won't play on Mac" issues since some WMV videos are copy-protected by DRM, corrupted, non-standard, unplayable, etc. Thus, it is wise for you to figure out an once-for-all solution to successfully play WMV files on Mac. That is: converting WMV video files to be compatible with Mac. 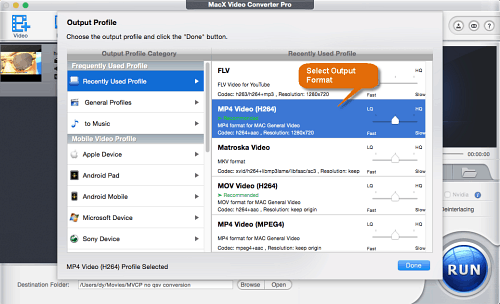 MacX Video Converter Pro, one of the best WMV file converter, can easily handle any WMV video conversion task. In particular, it can convert WMV to MP4, MOV, H264 and more Mac supported video formats for free playback on QuickTime and iTunes or editing in iMovie and FCP. In addition to Mac compatible video formats, this WMV video converter Mac also supports converting WMV to 3GP MKV AVI FLV VOB WMV AVCHD, etc. Mac video player supported formats for fluently replaying on VLC player, MPlayer, 5KPlayer, etc. with 98% quality reserved and world's no.1 fast speed. Convert video to MP4, MOV, H264, AVI, MKV, MP3, iPhone Ringtone, etc. Directly convert WMV to iPhone 7/Plus, iPad Pro, QuickTime, iMovie, iTunes, etc. Free edit WMV (crop, trim, add subtitles, etc.) and adjust parameters. Prior to WMV video conversion, you should download this Mac WMV video converter on your Mac OS X (macOS Mojave included). Then, follow the below step-by-step guide. Step 1: Fire up this WMV video converter for Mac and click "+ video" button to add your WMV video file you want to convert or directly drag & drop it to the main interface. BTW, it supports converting WMV files in batch. Step 2: Select MOV or MP4 as the output video format in the pop-out Output Profile window. You can also convert WMV to 3GP, WMV to iMovie, WMV to iPhone XS/XR/x/7/6S/SE, WMV to MP3, etc. Step 3: Click "Browse" button to specify a destination folder to save the converted video file and hit "RUN" button to start converting WMV to MOV, MP4 and more. 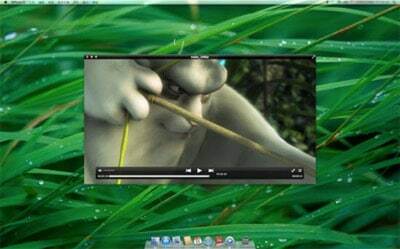 After converting, you can play the converted video file on QuickTime or other WMV players Mac smootly. Topmost WMV video converter - MacX Video Converter Pro provides users the simplest solution to convert WMV to Mac supported video formats like MOV, MP4, etc for free playback on QuickTime, iTunes and more.